Last Spring Game, Addison was forced to watch from the sidelines. Now, he’s ready to get back on the field. Let’s take a trip back in time to the offseason of our previous football season. Our receiving corps was a bigger question mark than the quarterback battle is now. Starters Josh Huff and De’Anthony Thomas left for the NFL draft, Daryle Hawkins graduated, and Tight End Colt Lyerla had parted ways with the Ducks. 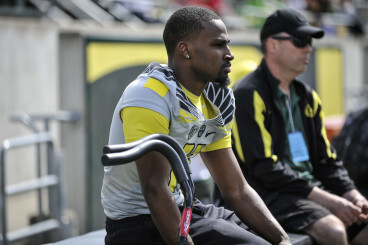 In the midst of all this, there was a lot of hope placed in a young receiver of promise – Bralon Addison. Addison quietly managed to be the team’s second leading receiver among a deep and talented roster. 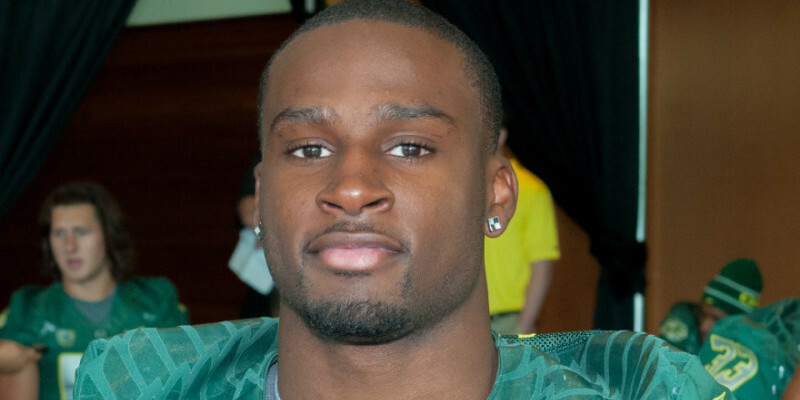 Oregon fans received a heavy blow to the gut when they discovered that Bralon had torn his ACL, and would miss the rest of the season. Now it is a new day, and Bralon is back and better than ever. The redshirt junior is eager to lead a young receiving corps to new heights. We met up with Addison to pick the brain of who is sure to be a major asset to whoever starts at quarterback. 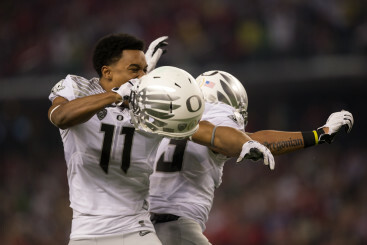 Addison celebrating with his team during the title game — though, the celebrations were short-lived.